Sometimes, you just want to go big. 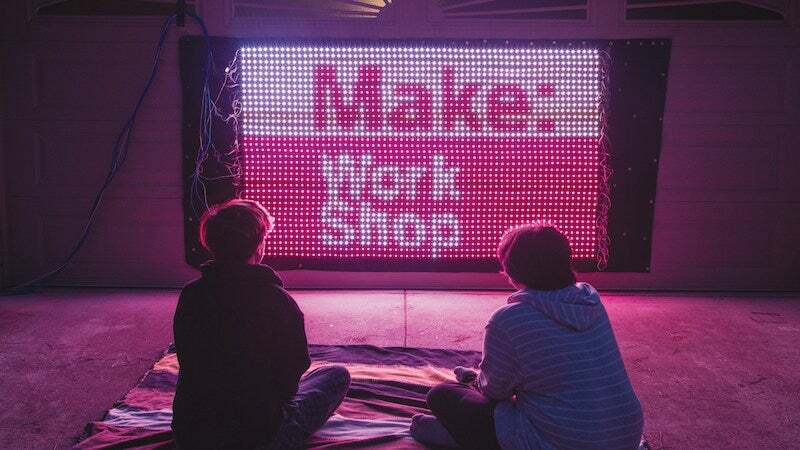 Case in point, Make's guide to make your gigantic, Jumbotron-esque LED video screen. The project here is powered by a Teensy microcontroller, a bunch of LED strips, and a handful of other parts. Once you complete the project, you can hang your screen just about anywhere you want and use it as a display for your computer. You're not going to get a high quality image by any means, but that doesn't make it any less fun to make. Head over to Make for the full guide and parts list.